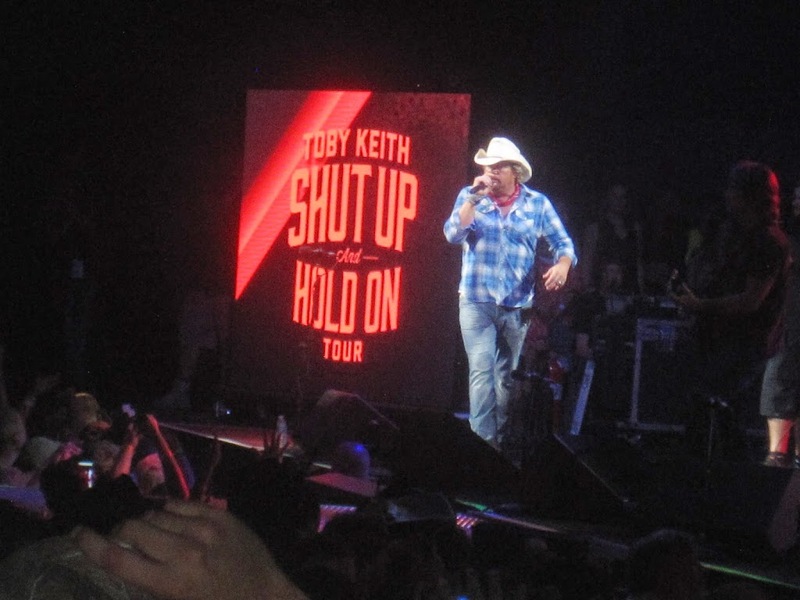 Toby Keith brought his “Shut Up & Hold On” Tour to the Xfinity Theater in Hartford, Connecticut this past Saturday. Alongside him, he had his Easy Money Band along with opening acts Colt Ford and Krystal Keith, his daughter. As the norm for a Toby Keith concert, there were songs about drinking, being in love, heartbreak, red solo cups, and Patriotism. And that suited the Connecticut crowd just right as a party broke out early in the day and never stopped. 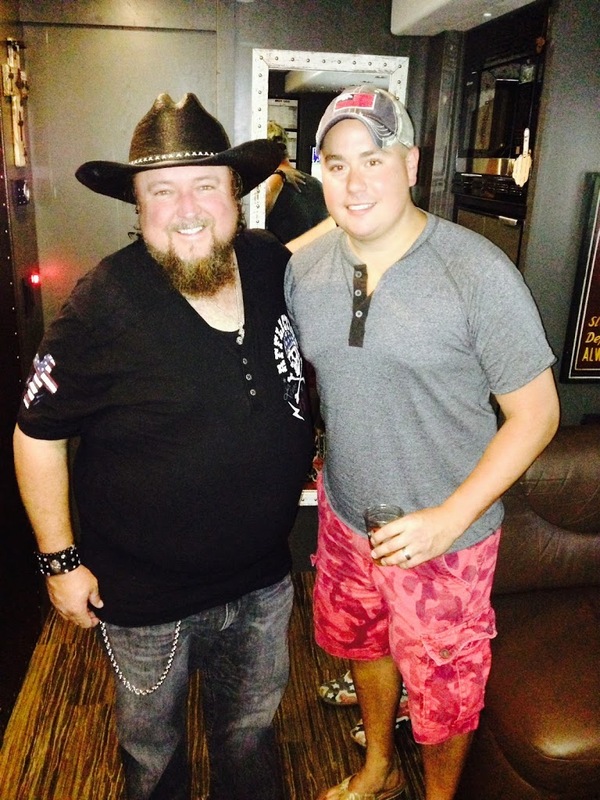 I unfortunately missed Krystal Keith’s set as I was interviewing Colt Ford on his bus (see http://millertimemusicspot.blogspot.com/2014/07/interview-with-colt-ford.html for the entire interview). Colt spoke to me about touring and golfing with Toby, his new video for “Workin’ On” and Marcus Luttrell’s involvement, as well as how he is the best dancer in country music. Colt had an amazing presence in our interview and that carried over into his set on stage. Colt took to the stage to Answer To No One and never looked back as he put together a bombastic ten song set. 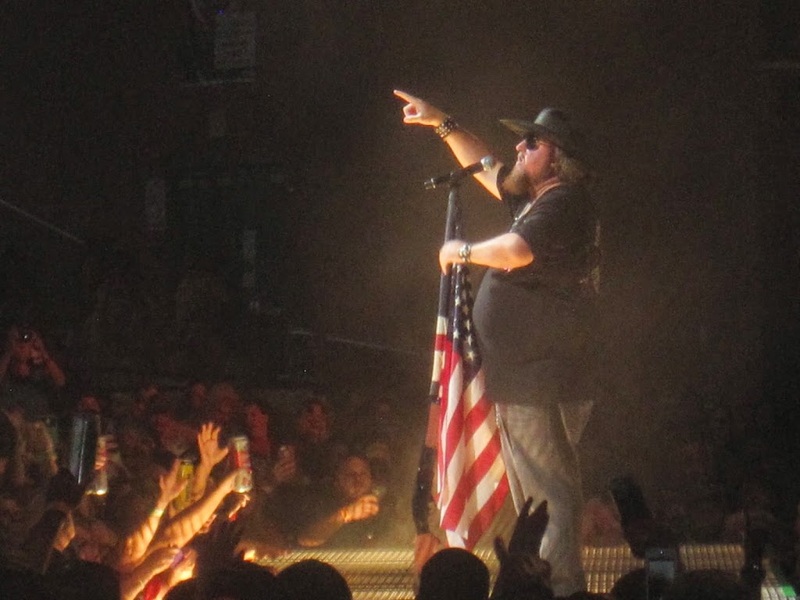 If anyone in the crowd had not heard of Colt Ford, by the end of his set they certainly had to be intrigued. Not only to did he attack the microphone with the ﻿the rapping skills of a seasoned veteran, but he sang, danced, and had a rocking backing band to add to the unique combination of musical mash-ups. And anyone who thinks that Colt Ford is not country is sadly mistaken. When he sang songs such as The High Life, Crickets, and Ride Through the Country, its impossible to not understand that themes are as country as it gets. His delivery may be a bit unorthodox, but in a time where music is changing and there is a lot more exploration, Colt Ford has created himself a nice niche that has served as a starting point for a lot of other artists to play off of. In fact, he ended his set with a mash-up of Eminem’s Lose Yourself and Jason Aldean’s Dirt Road Anthem, a song he wrote with Brantley Gilbert. I was thoroughly entertained by Colt’s set and a great majority on the crowd was in the palm of his hand by the time he finished. 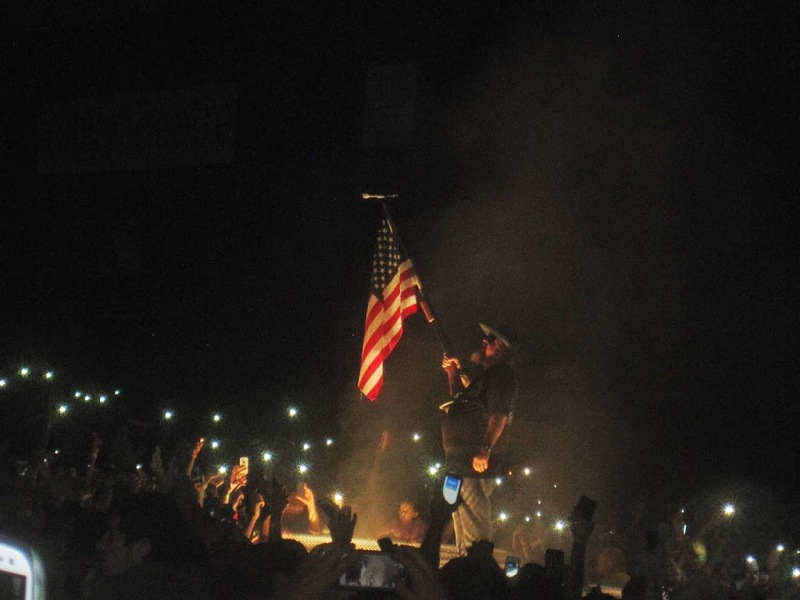 The combination of dancing, flag waving, and cell phones illuminating the theater showed that Colt Ford has a real place in country music. 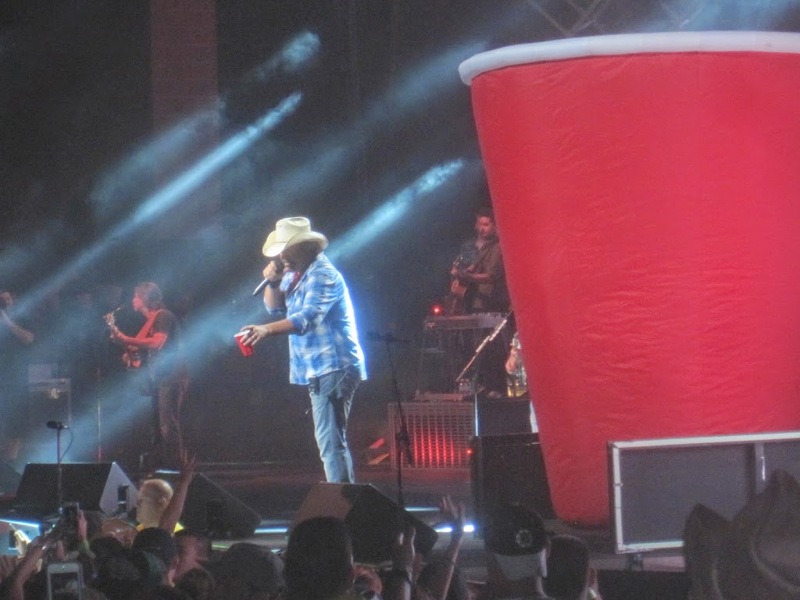 As it is customary for any Toby Keith show, the set began with a hilarious video filmed in Las Vegas featuring Toby, Carrot Top and the new line of Ford F Series Trucks, Toby’s sponsor. Once the video ended and the screen dropped, Toby jumped out and jumped right into some high energy songs, Haven’t Had Drink All Day, American Ride, and Made in America. Toby used a lot more of the stage and catwalk than he has in past years, which is always great to see as he has such a dominating stage presence. The crowd sang word for word with the megastar, as Toby pumped out hit after hit. As a fan of Toby Keith, who has seen him over twenty times live, it was a real surprise to hear some of the older hits that he had not done in a long time. These classics included Country Comes to Town, Who’s That Man, and Dreamwalkin’. He said his band had been working really hard to relearn the older songs and that he wanted to sing them since its been twenty plus years since he started in the business. And the band plus Toby did not skip a beat as the old classics along with the newer hits were all masterfully executed. 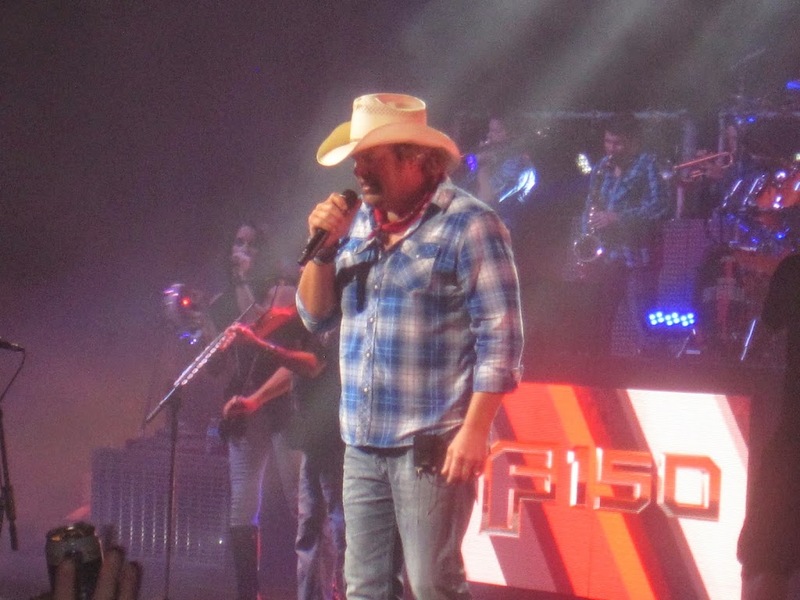 Despite the amazing catalogue of hits that Toby has delivered to the masses, year in and year out, a Toby Keith concert experience would not be one without the absolutely stirring encore that he produces each show. He invites any members of the military in the crowd up on stage with him as he performs the chilling “American Soldier” and the patriotic “Courtesy of the Red, White and Blue”. 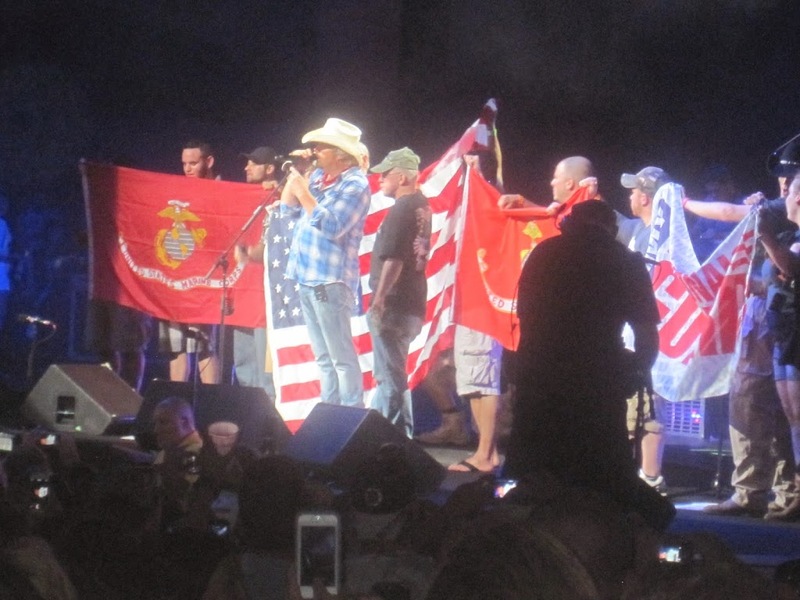 This Saturday night in Connecticut seemed to include branches of every part of our military, as they raised their flags and sang with emotion. Toby’s show is truly indicative of what a long lasting mega star in the music business is capable of and I hope he keeps doing it on this scale for many years to come.